Cheese on a fish pie is wrong – but I do love a tuna melt. Not that I can have tuna anymore since Urchin decided she liked it and started mugging me for a Nicoise. Tin of yer supermarket tuna, mixed with salad cream and chopped onion, heated, on toast. Et voila – yumtastic. This looks amazing, and I actually like tuna melts (sorry) so this is like one classy step further. Also, Chishy Feeze is my new rap name. I have just discovered you blog and I anticipate I will stay up until very late because I HAVE TO read every single post and then regret the sleep deprivation tomorrow. 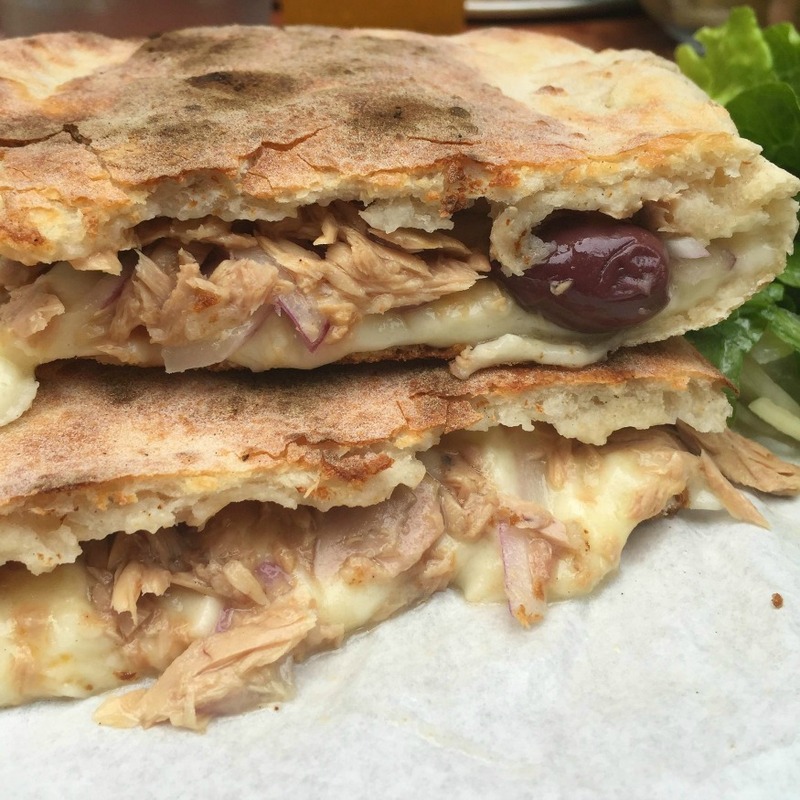 Also, I love Theo’s pizzas – might try a panuozzo next time! Haha! Thanks Sara! I really should post more here. Panuozzos only available at lunch time, FYI!